Backstory: This legendary creature is a modern day version of what the Greek & Roman gods & goddesses were to the ancient civilizations. 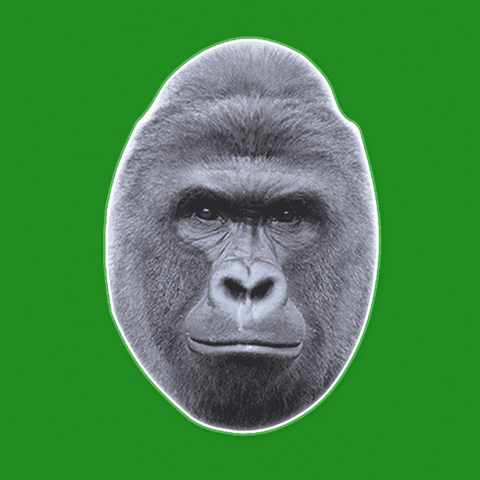 Even though he was murdered in the Cincinnati Zoo by a zookeeper who panicked after careless parents allowed their child to climb into the cage of this beast, his image is ironically forever immortalized in the eyes of the millennial generation. A statue was erected in his honor. His dark, sleek black teenage fur will be hung with the sign "Guest of Honor" at the Museum of Natural History in New York City. His name is Harambe and we will forever have our dicks out for him. 🤩DON’T JUST WEAR THE CELEBRITY, BECOME THE CELEBRITY - Murdered by those who supposed to protect him in the Cincinnati Zoo, he lives on as a legendary god. Dicks out at parties, pranks, festivals, and Halloween.